Wincey Terry –Bryant, professional narrator and singer is a native of Newark, NJ. Wincey has been an Arts Horizons teaching artist since 2006. This versatile artist has an extensive repertoire. Offerings include arts-integration professional development training for teachers, and also performances in Black History, Women’s History, Latin Heritage, Anti-Bullying, Character Education, and many other educational programs that align with the National Core to teach the regular school curriculum through live musical stage plays, dance, and dramatic storytelling. Wincey is the executive director of Winceyco, a performing arts troupe that combines education with entertainment. Wincey has worked throughout the music and film business with such industry giants as Spike Lee, Bill Cosby, Sting, and Tina Turner. Terry’s television credits include Soul Train, Arsenio Hall, and David Letterman. Her voice can be heard on Sesame Street, Grover Washington Jr’s live cd, Monie Love’s hit single “Its A Shame”, and Cosby show commercials. Wincey is the author of 3 children’s CD book sets on bullying, character, and safety, as well as a cartoon DVD on African American history. For more information or booking please contact Gloria Page at 201-567-1766 x 120 or gloria @ artshorizons.org. 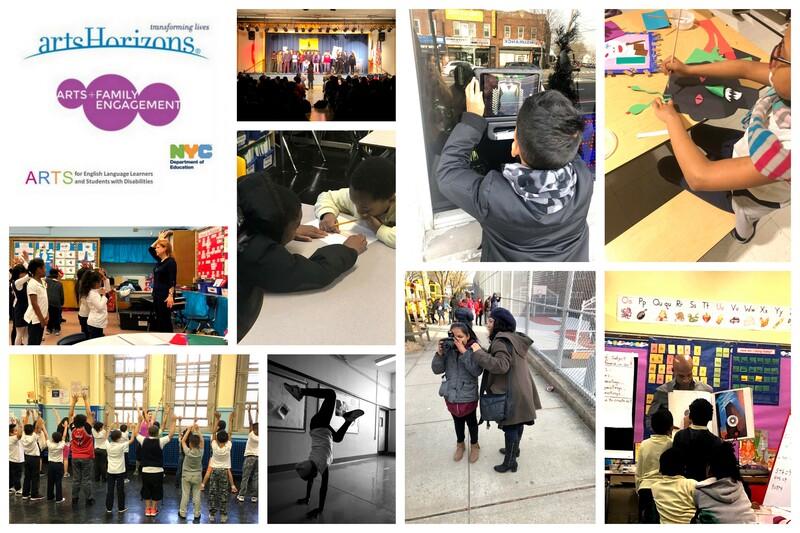 Arts Horizons is pleased to announce that we commenced our 40th year in arts education as the lead partner with 12 schools in all five boroughs under the NYC DOE Arts Partnership Grants. 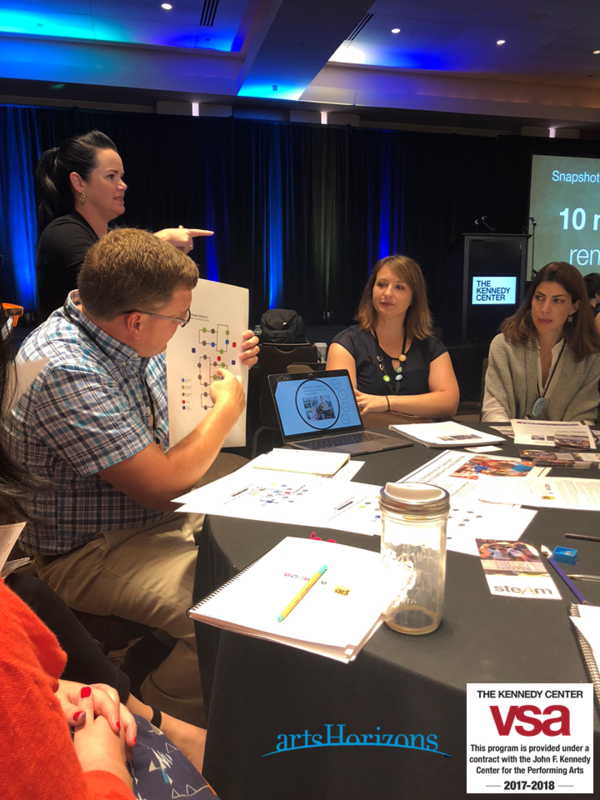 This will be our fifth season participating in the initiatives for “Arts for English Language Learners and Students with Disabilities” and the “Arts for Family Engagement” grants. We congratulate each of our school partners listed below and look forward to providing quality arts programs with our collaborating educators, staff, and students throughout the school year. Arts Horizons presented The Redhawk Native American Arts Council at Davison Avenue Intermediate School in Malverne, Long Island on Wednesday, Nov. 21, 2018. The Live assembly performance presented dances of indigenous cultures to share the rich history and culture of Native Americans with a goal of breaking stereotypes. 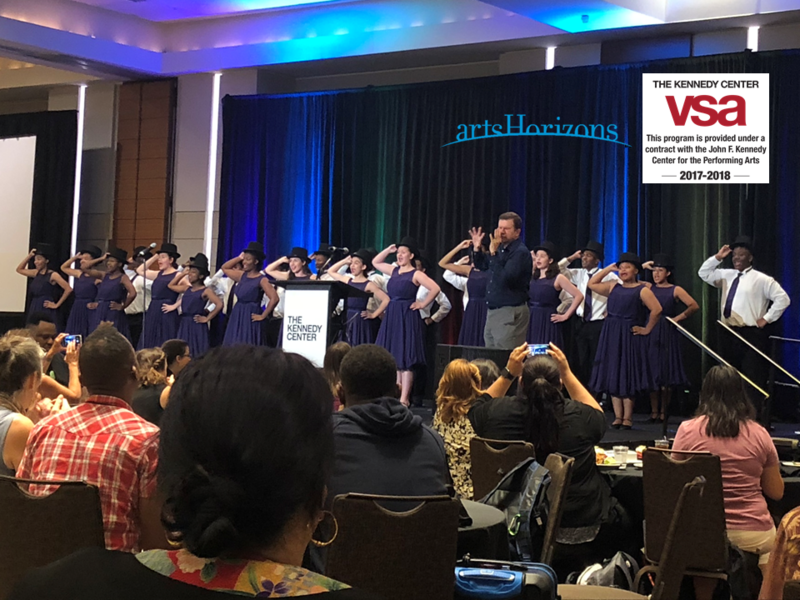 Arts Horizons’ Live Performance Assemblies are interactive and educational experiences for your school or community center that may include character education, anti-bullying, cultural awareness, dance, music and storytelling. For more information, contact Gloria, Program Manager of Performances at Gloria @ artshorizons.org , 1201-567-1766 X 120. Make a ‘Date With the Arts’ and celebrate our 40th birthday by bringing an Arts Horizons Educational Program to Your School !